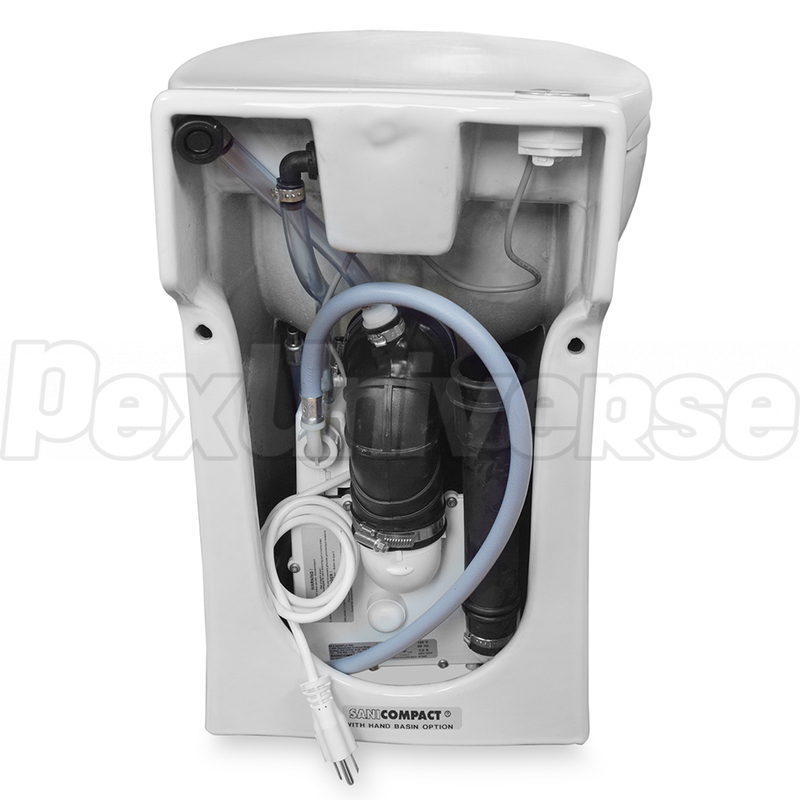 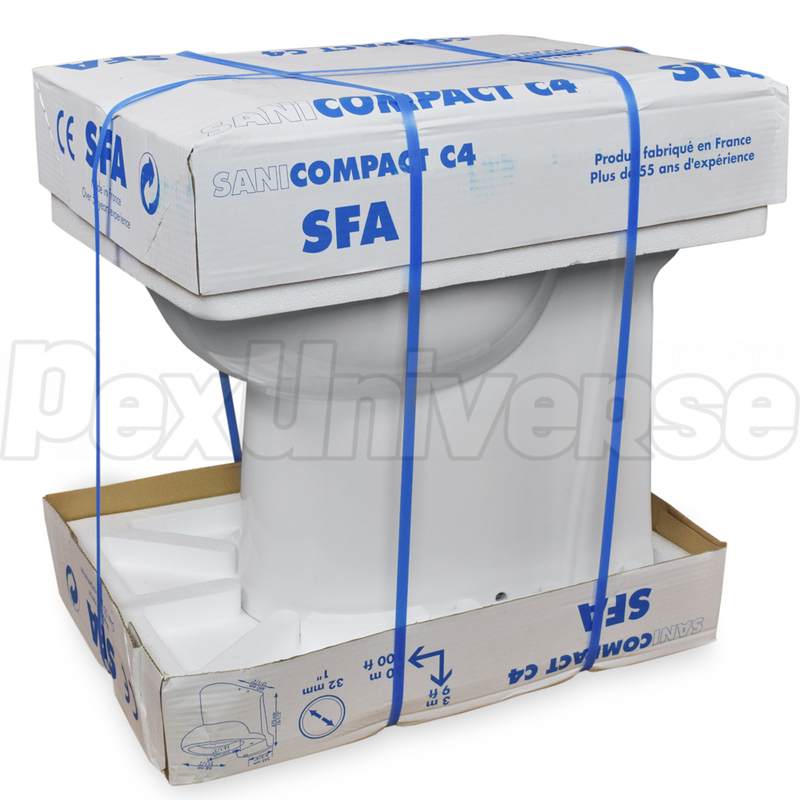 SaniCOMPACT is a floor-standing, self-contained elongated type toilet system with integrated 1/3 HP macerating drain pump with optional inlet for a secondary fixture (lavatory sink), making this product an ideal solution for 1/2 bathrooms which are located below the main sewer line (e.g. 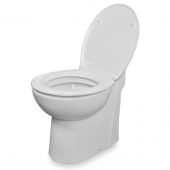 in basement). 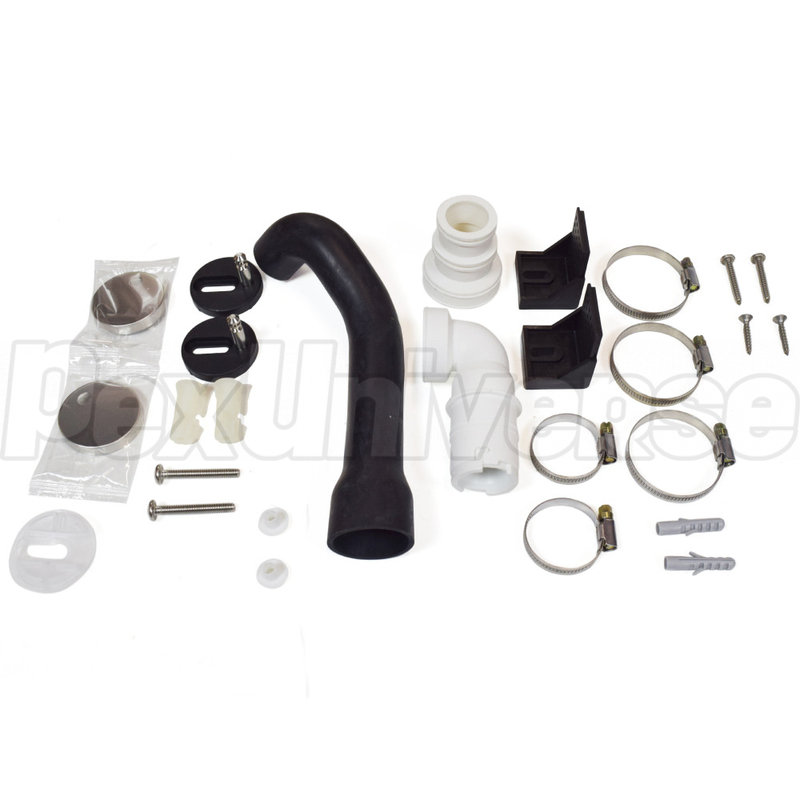 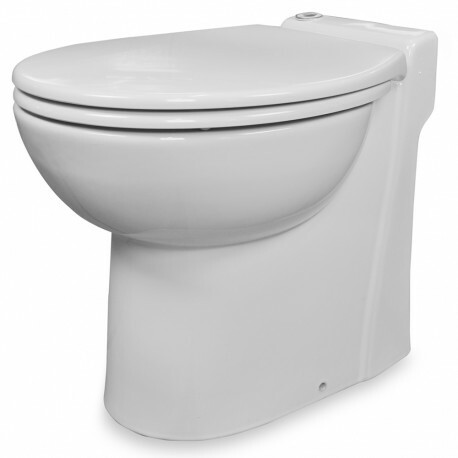 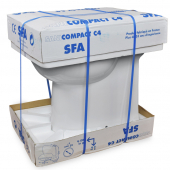 Unlike other drain pumps, SaniCOMPACT toilet does not require a vent pipe, which significatly simplifies the installation. 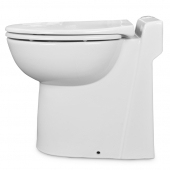 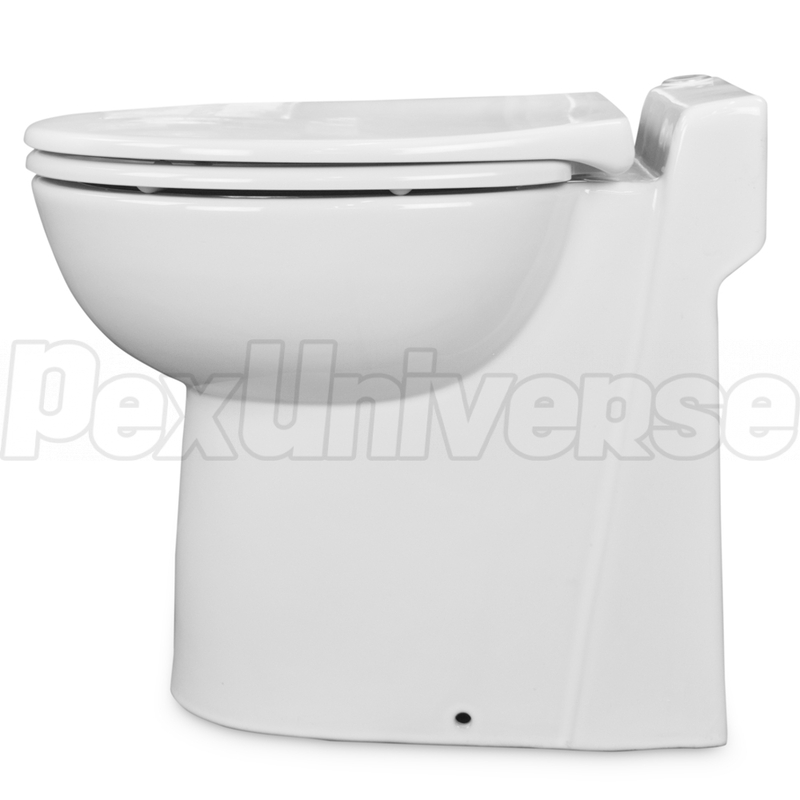 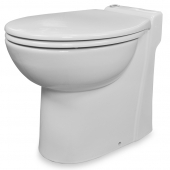 Features 1.28 gpf & 1 gpf dual flush mode and plugs into a standard 120V grounded outlet. 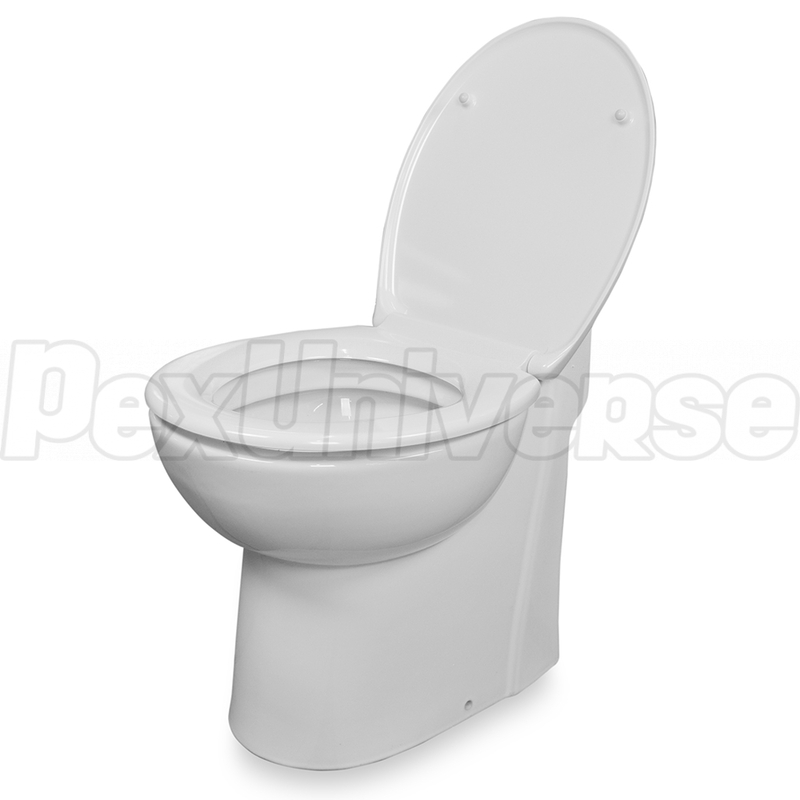 Includes a soft-close toilet seat. 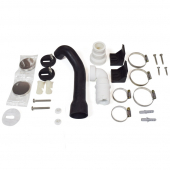 Additional drain inlets size: 1-1/4"
Dimensions (W x D x H): 14-1/2" x 21-1/2" x 18-1/2"